With holdings of almost 2.5 million specimens, the LSU Museum of Natural Science is among the nation’s leaders in terms of the size and diversity of its research collection. It houses the most active and third largest university-based collection of birds in the world and the largest collection of genetic resources (DNA samples) in the world. The museum’s nine faculty members have authored a combined total of more than 100 scholarly publications in the past five years, including several prestigious books, and have been awarded extramural grants totaling more than $6.4 million. As a result, the Museum is a powerful magnet for graduate students from throughout the world who come to study anthropology, archaeology, paleontology, and zoology at LSU. 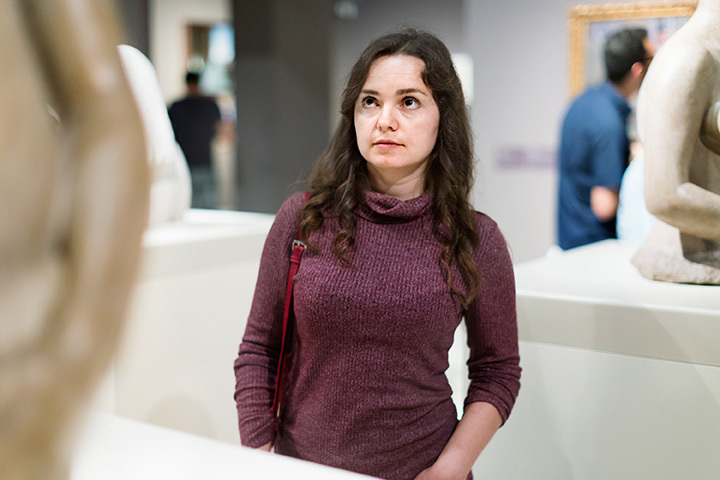 The Museum faculty currently advise twenty-five graduate students, and the Museum is among the top units on campus for success in placement of graduates. In addition to the habitat dioramas, the Museum also has displays of the mammals, birds, reptiles and amphibians of Louisiana, as well as the first Mike the Tiger, Experience Antarctica, Louisiana Native Americans, and Making a Big Splash with Louisiana Fishes. Fossil bones of a mastodon and a cast of the skull of the dinosaur, Allosaurus, are also on display. More specific information about the Museum exhibits is available HERE. -Assistance to local citizens, wildlife officials, and forensic specialists through identification and consultation services.